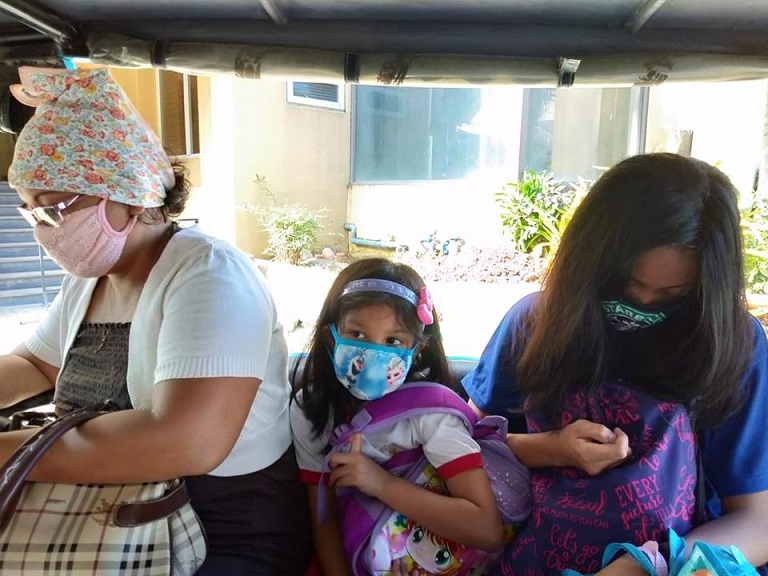 BORACAY–Residents and employees of tourist establishments wear masks as they pass through diggings, or ride e-trikes over dusty roads to prevent possible health problems resulting from exposure to dust, contaminated water and garbage waiting to be collected. “Many are getting sick because of the dust from the endless construction work,” a resident tricycle driver said in Filipino as he maneuvered through stones, rubble and other debris lying on some roads on the resort island that is preparing to welcome back tourists. Six months after its closure, efforts to regain Boracay’s status as a paradise island are reaching frantic levels as its soft reopening on Oct. 26 nears. “Cleaner, greener, more beautiful…everyone deserves Paradise!” That is the latest marketing blurb of Paradise Garden, a resort hotel in Manok-manok village, and one of only 68 hotels so far given the green light to reopen by the Department of Tourism. Along the Bugabog white beach front, there is peace and quiet in the early morning and afternoon, as residents, workers and a few foreign visitors walk through a wide clean boulevard back-dropped with clear emerald waters – minus the umbrellas, chairs and the raucous coterie of masseuses, manicurists and other service peddlers that harassed tourists pre-closure days. Before the closure, he said, they were overwhelmed by the never-ending flow of visitors: “It was like we were the foreigners on the island. We could not set foot on the beach,” Canta said in Filipino. 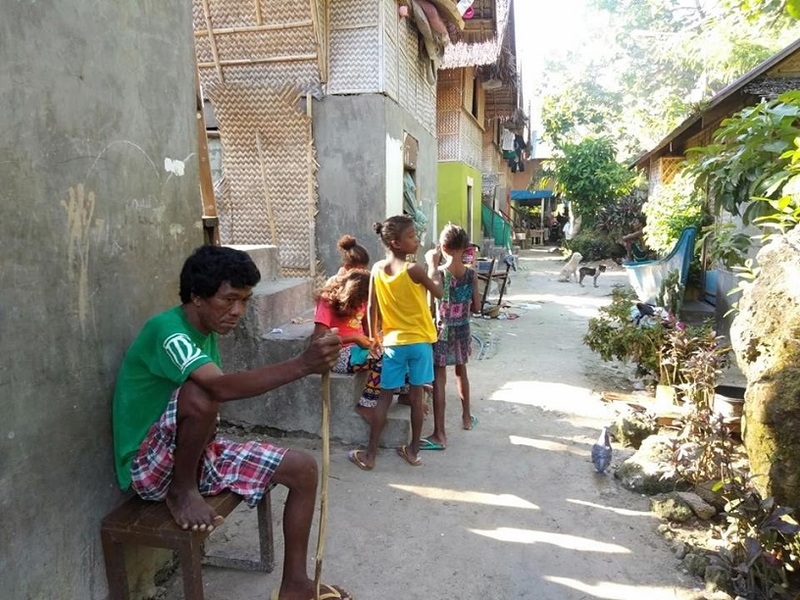 During the closure period, the Nueva Ecija native who married someone from Ibahay town in Aklan, related that he left for Manila to work as a driver under his former boss because he needed to earn, otherwise the family will go hungry. He had been asked to report back to work in time for the island’s reopening. 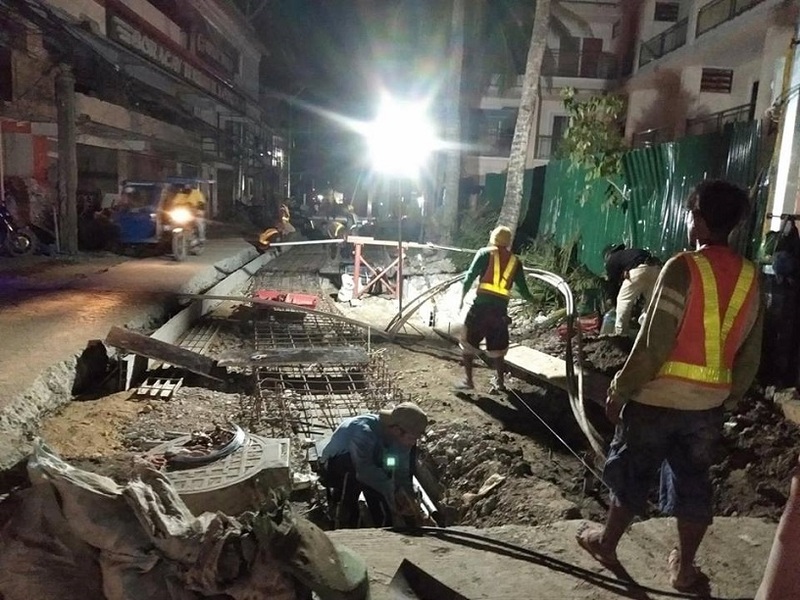 Those were part of government moves to rehabilitate Boracay, which President Rodrigo Duterte described as a “cesspool” and placed under a state of calamity last April 26 to prevent further degradation of the island’s ecosystem. In some areas, work that included clearing of road obstructions and the easement of the beachfront, continued even at night, interrupted at times by blackouts that occurred twice or thrice a day. The Boracay Inter-agency Task Force (BITF) that was created to oversee the rehabilitation of the resort island, said it will be strict in enforcing tourist establishments’ compliance with environmental guidelines. Alongside upgrades to the system of removing solid waste from the island, the government has imposed limits on tourist numbers and required beachfront hotels to have their own water treatment systems. Rowen Aguirre, executive assistant of Malay Mayor who has been meeting stakeholders and officials from barangays Balabag, Manoc-Manoc and Yapak for the reopening dry run activities, said “compliance is always a problem” with tourist establishments, although he acknowledged that many have upgraded their infrastructure and water treatment systems. He also warned that tents and other structures will be removed from the beachfront on Bulabog beach, where many of the commercial establishments are situated. The dry run period from Oct 15-25, he told Vera Files, is important for the local government “to see what things work, and what do not work” in the rehabilitation effort. Environment Secretary Roy Cimatu, head of the BITF, told the media the 11-day dry run would allow government to test all systems it had put in place during the six-month rehabilitation. Tourism Secretary Bernadette Romulo-Puyat has declared that the carrying capacity of the island will be strictly implemented once the island reopens on Oct. 26. She had specified that only 6,405 tourists will be allowed to enter Boracay per day on the basis of a recent study on the island’s carrying capacity conducted by DENR and UP Los Banos. “We have to enforce the carrying capacity,” she told reporters, to prevent the return of the situation of Boracay before its closure. Puyat also warned that only fully compliant establishments will be allowed to reopen. “They have to be 100 percent compliant,” she reiterated. Meanwhile, the Malay Boracay Vendors, Peddlers, Masseuse and Manicurists’ Association (MABOVEN) earlier appealed that its members be given “proper relocation” in line with the BITF ban on tables, chairs and massage beds along the beach. Balabag barangay chairman Jason Calapian disclosed that the mayor of Malay plans to develop a kind of “wonderland” for MABOVEN’s activities. He did not elaborate. He acknowledged that the closure is “a big hassle” because 80 percent of his constituents numbering some 17,000 have lost their source of income, and many students have stopped schooling, but he admitted that the situation on the island, famous for its powdery white sand, is much better and “there is discipline” now. “In our barangay, I urge residents and businesses to follow the rules and regulations, and comply with requirements,” Calapian said in an interview, adding that they recently held a Task Force Kalikasan workshop where he ordered that all households segregate their garbage. Those who fail to do so will be fined P2,500, he explained, saying he personally calls those land owners when he sees garbage in their properties. 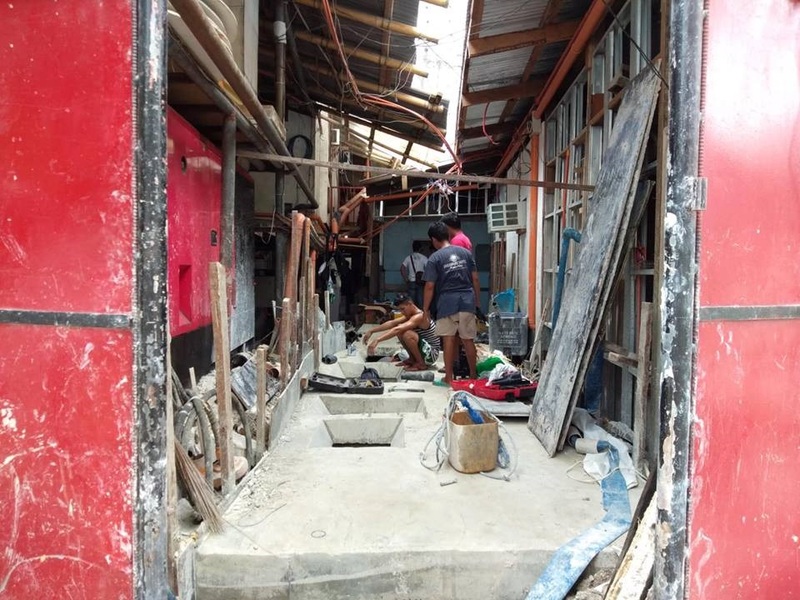 Calapian is aware of the financial implications of the closure, especially on businesses that needed funds to have their buildings repaired. He disclosed that some of those who lost their jobs received an assistance of P15,000 per family for the duration of the closure to help them re-start their business activity. But the amount, he explained, is a pittance compared to what even the daily earners were making. A masseuse, for one, earned at least P1,000 a day before the closure. Donalie de la Cruz of Easy Boracay Travel and Tours (EBTT), where Chinese tourists go for land and water sports activities, has mixed feelings about the rehabilitation. Her business is adversely affected because water sports are suspended until December, 2018 to allow the rehabilitation of marine resources and biodiversity. The Boracay Business Administrators of Scuba Shops, she said, is supporting the rehabilitation efforts by “planting corrals’ and conducting underwater clean-up, including the removal of crowns of thorns which threaten corrals. She said she received an assistance fund of P16,000 from the Department of Labor, but it was gone after one month. Valerie Berico, manager of EBTT, said during the peak season, the tour company would get an average of 50 Chinese guests per day. “The closing (of Boracay) was worth it. It’s good for the future, the long run. However, we hope it won’t be extended because our debts are accumulating,” she said. She shared that they were given a loan of P50,000 by the Chinese owners of their tour company which they used to set up a fishball and siomai stall for students and workers outside their office. She hopes the “new Boracay” will be a fresh start for all, including transport operators whom she said tend to take advantage of tourists by overcharging them. The Sandcastles Apartments, she said, had been frequented by Arab guests who rented the apartment-rooms during Ramadan because they can cook halal food there. They even brought their own pots and pans, she said. Like all other establishments that were shuttered, she said they suffer from huge losses. “We face financial problems, like there are payments to be made.” She received DOLE assistance amounting to P16,800 or P4,200 each month for the six months through cash cards at the Land Bank. Vangie Tamboon, 39, believes that her fellow Atis were not that much affected by the closure of the holiday island that her ancestors used to call home. They are even thankful that the island was given a breather. “I think …we were not that much affected. We are happy that Boracay was given a break to refresh itself amid all the waste and garbage,” she said in Filipino. The Ati leaders said they are not part of the BITF activities, but have been invited at one time because there is a plan to rehabilitate the nearby mangrove wetland # 6 near the 2.1-hectare land where the community is located. A certificate of land title for that land area where they are “holed in surrounded by land claimants” was awarded to them on Jan. 21, 2011. Before, their ancestors just roamed around freely on the island as they engaged in farming and fishing to live. “We were not paying attention until businesses, most of them claimants, began to mushroom,” Tamboon said. “Then we felt constricted, unable to do anything,” she lamented. She heard about the “repaso” (dry run), and is preparing for the visit of Agriculture Secretary Emmanuel Pinol who, she said, gave the Boracay Atis an Urban Gardening Project as assistance. Duterte has said he would declare Boracay a land reform area and personally distribute certificates of ownership to the indigenous people on the island. “The directive of the president is to return the island to the people of Boracay,” Pinol had said. Meanwhile, as tourists count the days to the reopening of the world-famous destination, a few compliant establishments are enjoying the dry run. At night, only Boom-Boom Bar and Nigi-Nigi Nu Noos provide weary locals and resident expatriates unwinding outlets on the beach front. A smiling Boom-Boom Bar waitress said, “We’re the only ones operating here near the beach. We have complied with all (environmental) requirements,” she beams as she welcomes more familiar guests to the bar. 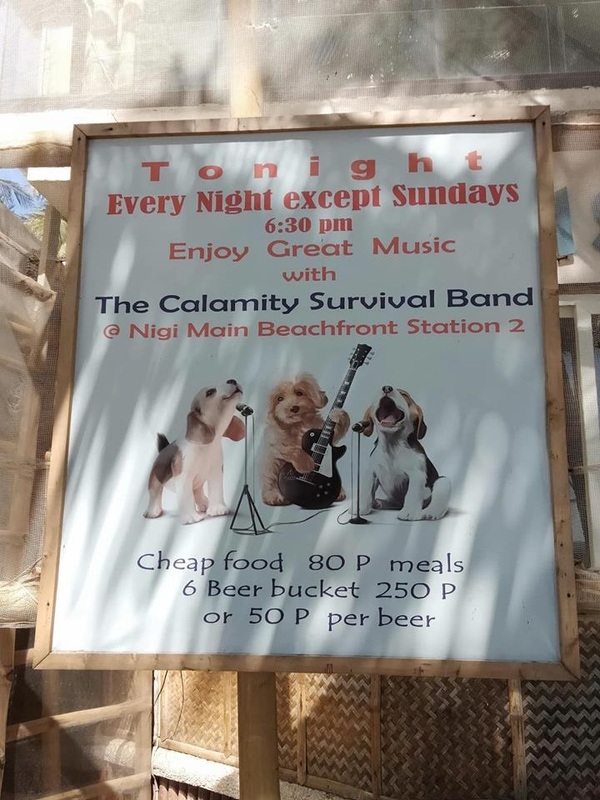 The Nigi-Nigi Nu Noos Sports Bar at the station 2 beach front offers the Calamity Survival Band’s rhythm and blues music fare “every night, except Sundays,’ says its poster showing three howling dogs in a band. The story was published on October 19, 2018 at VERA Files. Next story Diesel or solar: Could a push to power the Philippines turn greener?